Summary: If you are looking for Ed Sheeran latest hit songs, look no further as we have curated a list of Ed Sheeran’s latest songs that are going to rule your playlist. Ed Sheeran (Originally Edward Christopher Sheeran) isa famous English singer, guitarist, songwriter, and sometimes actor too. He has a long list of awards to his name, Grammys, Brits, MTV, and Ivor Novello to name a few. The singer is also recently named to be the most played music artist and his song ‘Shape of You’ being the most played track. Not only this, but he also gets in the category of the UK’s wealthiest musicians earlier this year. He has also been awarded for the BMI song of the year prize for ‘Thinking Out Loud’ in 2016, and ‘Love Yourself’ in 2017. So, if you are looking for Ed Sheeran latest hit songs, look no further as we have curated a list of Ed Sheeran’s latest songs that are going to rule your playlist. ‘Perfect’ is Ed Sheeran’s latest album song, released in 2017. The song is a romantic ballad which Sheeran wrote about his girlfriend from school. Perfect was charted at number one on the UK Singles Chart and the US Billboard Hot 100 in December 2017. The song also made it to number one in sixteen other countries, including Australia, Canada, Ireland, and New Zealand. The song was nominated for nine musical awards including the American Music Award for Favourite Song and Billboard Music Award for Top Selling Song. ‘Shapeof You’ is a pop and tropical house Ed Sheeran latest song 2017 that was released on 6 January 2017 and has been received by the audience very well making it reach to the top in the UK for 13 consecutive weeks. It has become the nation’s most streamed and highest selling song of 2017. The song also debuted at number one on the Billboard Hot 100 for 12 non-consecutive weeks. The song did great worldwide. In the song, Sheeran sings about falling in love (or lust) with a girl that he meets at a bar. ‘Thinking Out Loud’ is a romantic ballad that Sheeran himself referred to it as a “walking down the aisle song,” released on 24 September 2014. In the lyrics, Sheeran sings about loving traditionally. The song received awards for 58th Grammy Awards for Song of the Year and Best Pop Solo Performance. The song performed very well among the audiences and topped several charts in UK, US, and other countries. ‘How Would You Feel’ from the album Divide, was released on 17 February 2017 as the first promotional single. The song made it into top ten in around six countries including Australia ARIA, UK Singles, Netherlands’ Dutch Top 40, US Billboard Hot 100, and many more. Sheeran wrote the song for his girlfriend when she was going back home after visiting him. He said in an interview that he wrote the song just to tell her that he felt good and how did she feel? ‘Castleon the Hill’ is yet another pop, rock Ed Sheeran latest song 2017 to download from the album Divide and was released on 6 January 2017 with the song Shape of You. The song reached number two on the top lists of many countries while Shape of You reached number one. With this Ed Sheeran became the first ever singer to take top two positions in any chart ever. In this song, Sheeran wrote about his hometown and the feeling of living life as a teenager. ‘Happier’ is another latest Ed Sheeran song from the same album Divide and was released on 27 April 2018. As per Sheeran, the song was about an early relationship and looking back that his first love was happier with someone else. The song was listed in some weekly and year-end charts. ‘Supermarket Flowers’ song was released on 2 March 2017 and was included as the 12th and final track on his third studio album Divide. About the theme of the song, Sheeran revealed that he wrote this song as a tribute to his late grandmother. He sang the song for the first time at her funeral. ‘Dive’ wasreleasedon 3 March 2017 in genre Pop. The song made it to top ten in UK Singles Chart. In the song, Sheeran wrote about falling in love with someone, but he doesn’t want to get hurt and wants to know if she really feels the same way about him. ‘Don’t’ a song by Ed Sheeran was released on 24 August 2014 for his second studio album. This song also made it to top ten lists of UK Singles Chart and Billboard Hot 100. Sheeran wrote this sad, angry breakup song about his ex who ended up being physically involved with one of his friends. Now, you have a list of latest songs of Ed Sheeran. Now, what you will do if you want to download their MP3 version you might need to pay for this since many music websites offer downloading after you pay for that. But, finding their video on YouTube is easy and free. So, we can do one thing that find the song on YouTube, and then use any good tool to convert YouTube to MP3 and save the song as MP3 in the phone. DVDFab YouTube to MP3 is one of those modules of DVDFab 10 which can do this job efficiently without any degrade in the quality. Let’s check out the steps to download YouTube to MP3 of the Ed Sheeran songs. 1. First of all, download DVDFab YouTube to MP3 from the website. 2. You will see DVDFab 10 icon on your computer after the installation. Launch it. 3. Now, you will see the main UI of the software. Go to Utilities, and click on YouTube to MP3. It will take some moments to get loaded. 4. Once it is loaded, the new window will appear. 5. Go to YouTube, get the link of any Ed Sheeran’s song, and Click on “Paste URL”. As you do it, it will get the link, and start processing it, in a few seconds, you will see the video is already downloading as MP3. One thing if you want to do is to change the save location of the downloaded file. It is optional though. Just click on the folder icon which you can see at the bottom next to “Save to” and select the location you want. That’s it. You can click on the Folder icon on the right of the downloaded file, to see where it was saved. Finding the songs of your choice on YouTube is very easy as it has vast content. But, downloading them as the way you want may be tough at times, and that is why DVDFab YouTube to MP3 module is there to help you out with the downloading the MP3 version of the Ed Sheeran’s songs. Do you want to remove subtitles from MKV files? Here we are going to show you how to remove either soft subtitles or hard subtitles from MKV files with subtitles extractor. 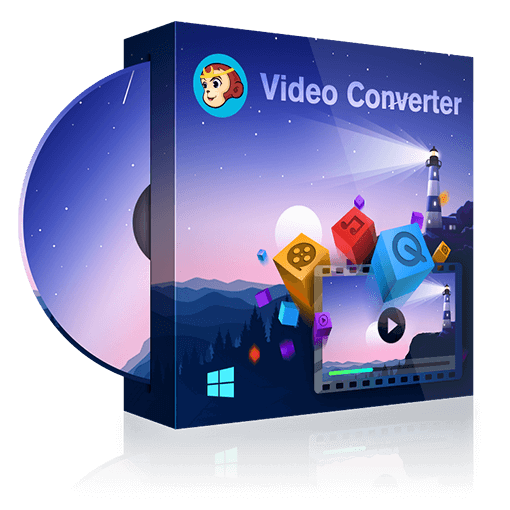 Looking for an MKV to MP4 converter to convert MKV videos freely? Here are top 5 best free MKV to MP4 converters that can fulfill your needs in many ways. Do you want to create your own videos on Windows? Here are top 7 best free video editing software for Windows that you can use to edit videos in your way.